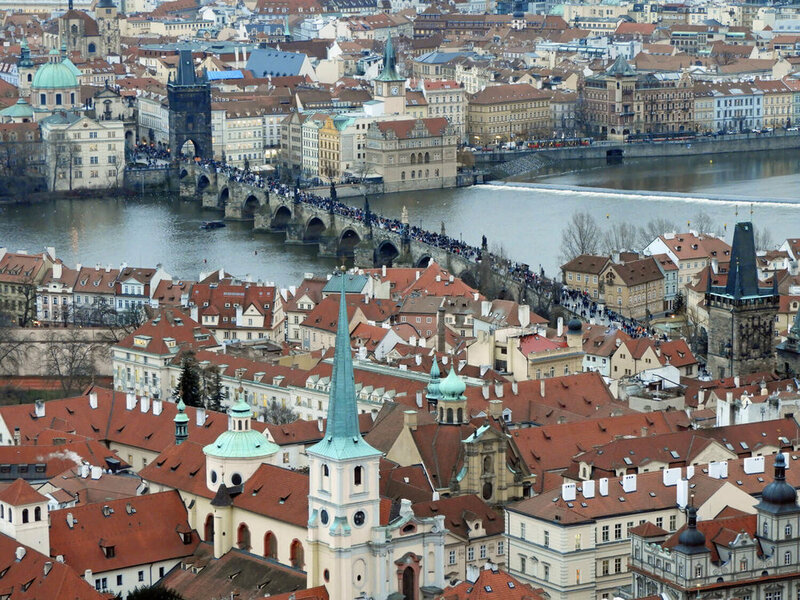 Prague is full of cobblestone streets, terracotta rooftops, majestic bridges, impressive town squares... but so are most cities in Europe. Don’t get us wrong, we liked it, but initially we struggled to see what was unique about it (other than it's low price point). 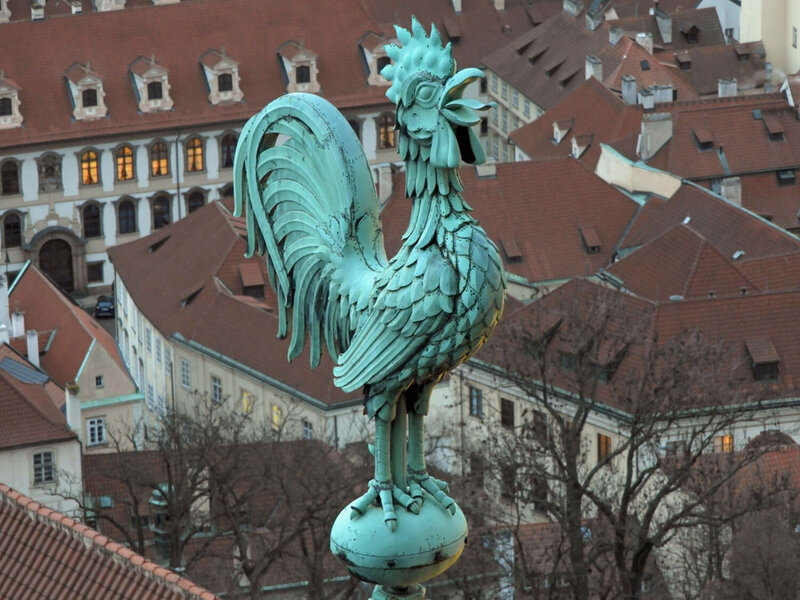 Of course there are a few staples to see in Prague like St. Charles Bridge, old-town square, St. Vitus Cathedral, but visiting the castle district what really topped Prague off for us. The castle happened to be closed for maintenance while we were there (a risk you run while travelling in the off season), but we didn’t mind. The castle district is nearly a city in and of itself, lying within the walls of the castle, and the old world charm won us over. Our trip to Prague including little planning, so we didn’t have much of an agenda. 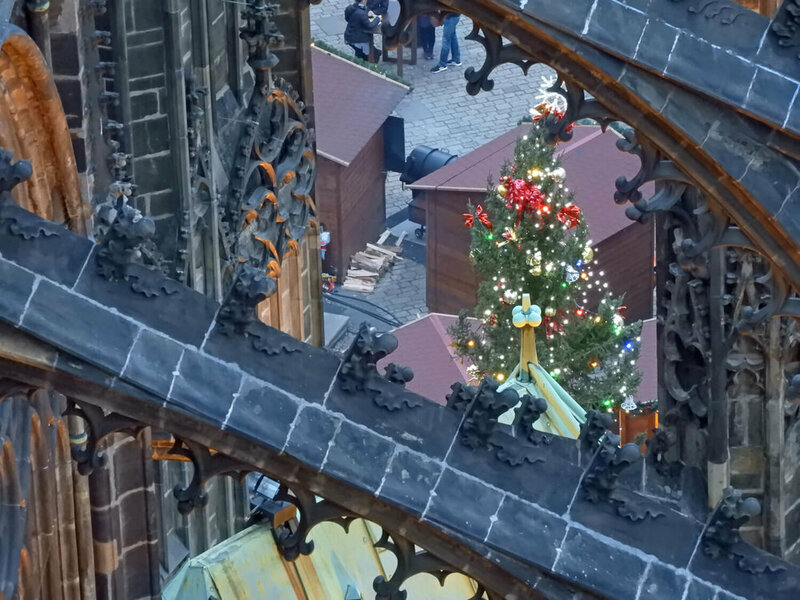 We spent most of the day exploring the streets and were pleasantly surprised to see Christmas markets still in full swing (first week of January). The largest market is located in the main square, but there were several smaller ones scattered throughout the city. 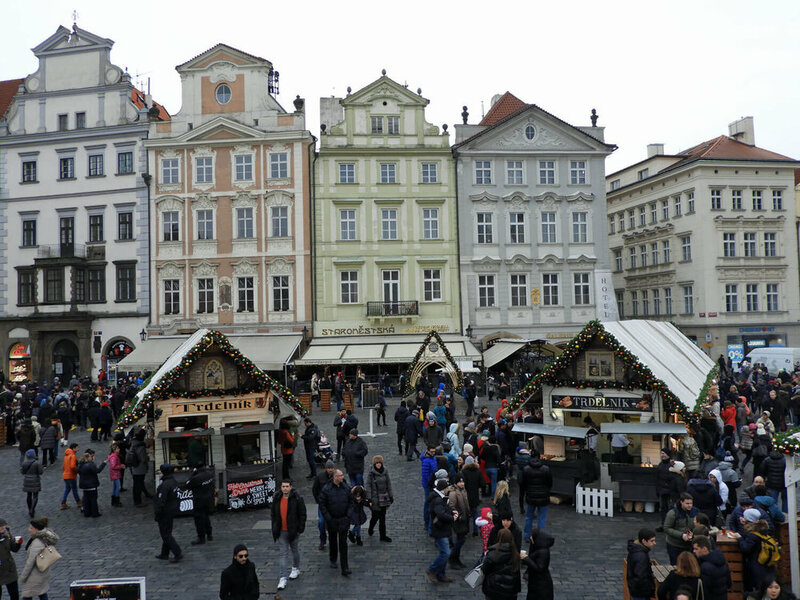 Most of the stalls were similar throughout each of the markets, but we still enjoyed czech’ing them out nonetheless. 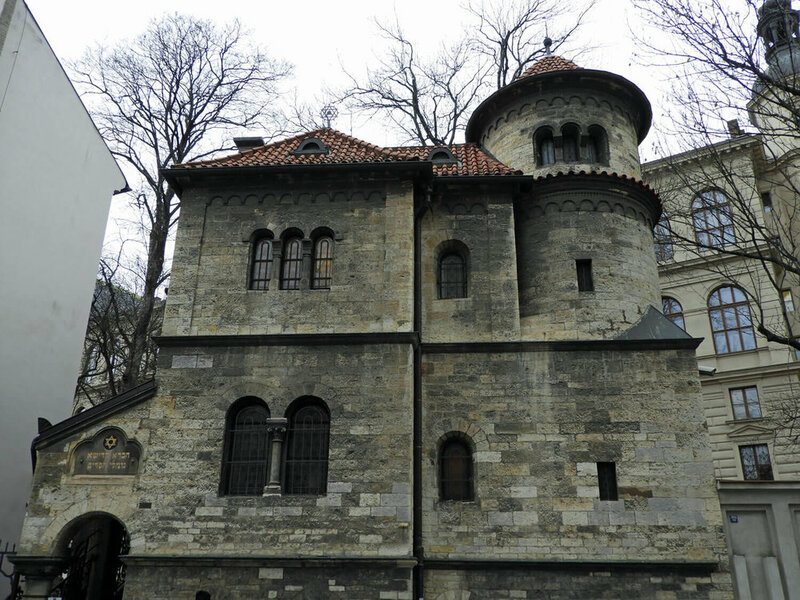 We also wandered around the Jewish Quarter, but chose to admire the buildings from outside rather than tour the inside because it appeared to be a bit of a tourist trap where each location required purchasing a ticket. 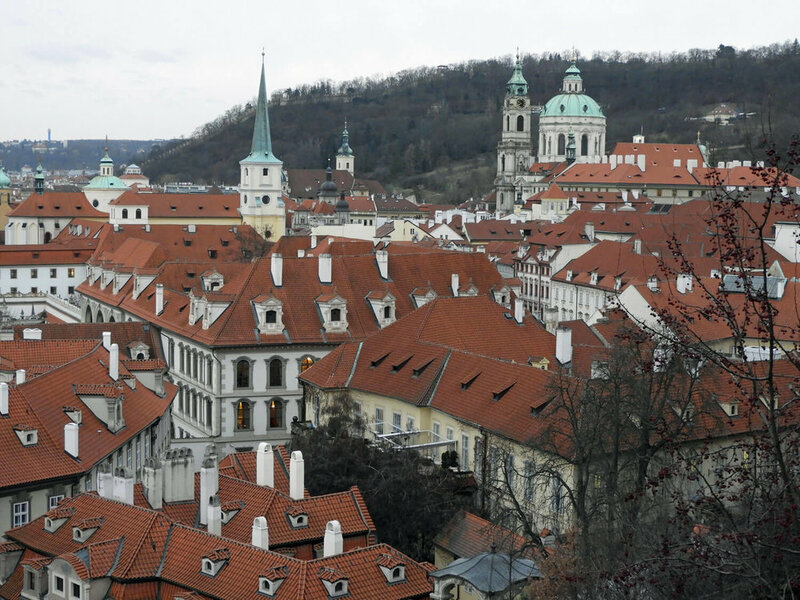 For our next trip, we would make it a point to visit some impressive libraries in Prague, including the Clementinum National Library, and perhaps the Strahov Monastery Library. 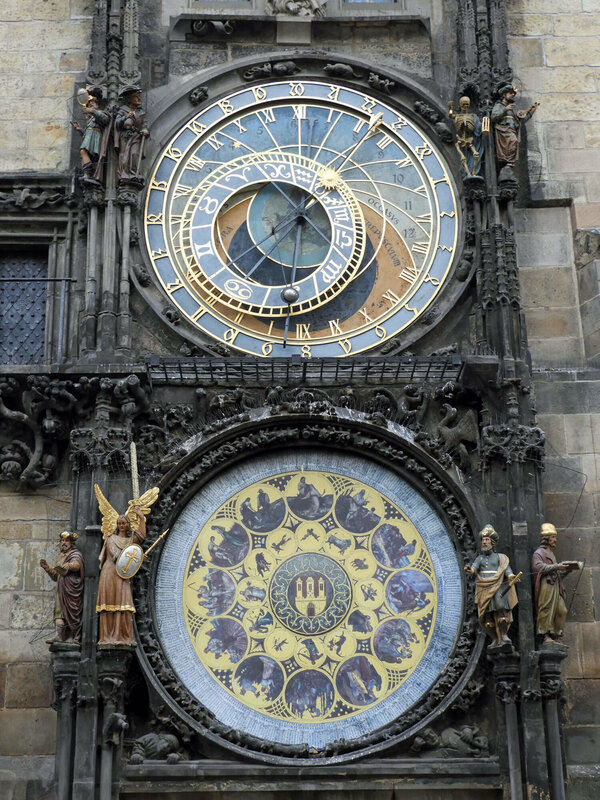 By the way, if someone tells you that you need to see the Astronomical clock show, don’t listen to them. If you happen to be in the main square while it is already happening, great. But, don’t go out of your way for it. You will be disappointed. Of course we were sure to stock up on Kürtőskalács/Trdlnik/Chimneys. Let me tell you... these things are awesome. Heaven in my mouth. They are made from a sweet dough that is wrapped around a wooden cylinder, rolled in sugar and cooked over charcoal. As the dough cooks, the sugar caramelizes, creating a crispy outer layer. Once it is finished cooking, it’s rolled in chopped walnuts. We call them "chimneys", because once it is removed from the coals you can see smoke rising from the cone of dough. Here, they take them to a whole new level, filling the insides with nutella, ice cream, whipped cream, or other toppings. The best part is that they are considerably cheaper here than the ones you’ll find at German Christmas markets (but the biggest and cheapest ones are in Romania)! We went to Good Food Coffee & Bakery which really exceeded all expectations with their with savory and sweet Trdlnik crazy concoctions (Like mac n' cheese, BLT, etc). 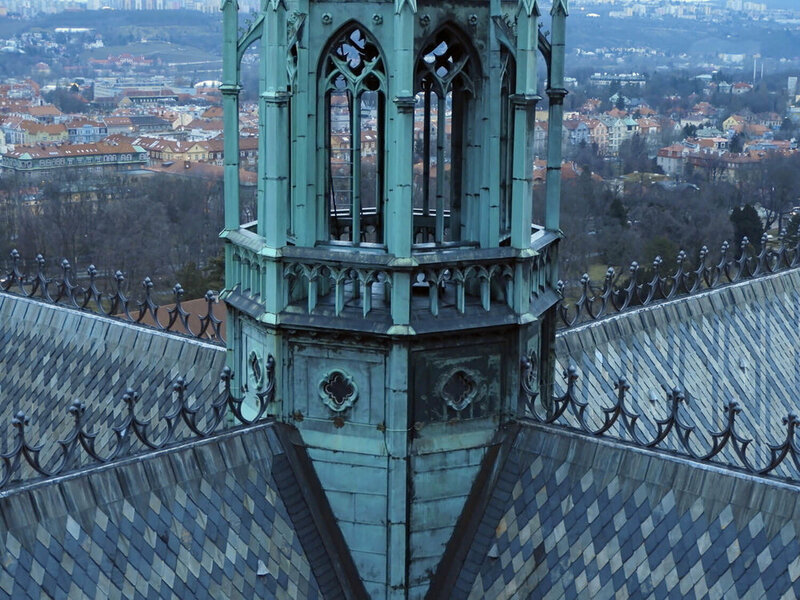 If you find yourself in Prague, it's worth stop. 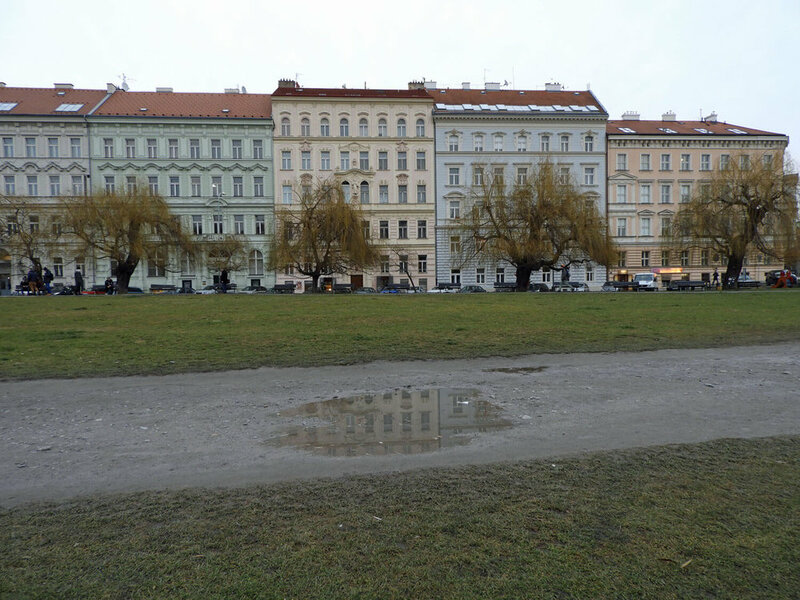 One of our favorite things about the Czech Republic is how inexpensive it is - food, public transit, accommodations... it's refreshing and allows you to experience the culture without breaking the bank. Parking in large cities is almost always a headache. We opted to leave our car at the Park N’ Ride Butovice (for free!) and hop on the metro. This worked well for us because when we were done exploring, our Airbnb was just one stop away from Butovice. The metro ticket kiosks only accept cash, but if you go into the lottery shop at the station, you can purchase tickets with credit card. Although the Czech Republic has its own currency, everywhere we visited in Prague accepted credit cards, so we recommend holding off on exchanging cash. We each bought two 30 minute single trip tickets for 24 CZK (only about 1 euro!) - one to get us into the city, and then back out to the Park N’ Ride. Once we were in the city, we explored on foot, so this was a perfect combination for us.